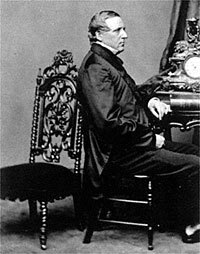 Secretary of the Interior, John Palmer Usher succeeded an ill and weakened Caleb Smith when Smith resigned to become a federal district judge at the end of 1862. Usher had been Smith’s assistant secretary and effectively had been the acting secretary of the department which Smith had neglected. The appointment was far from automatic although Usher had an advantage as a Hoosier seeking a post which many Indiana residents thought was theirs by right. The judicial position which Smith accepted was one which Usher himself had wanted. Unlike many contemporaries, he favored more humanitarian treatment of Indians. In October 1862, he helped deal with problems created by unrest of Indians in Minnesota “When he returned to Washington, he presented a report to Smith, and discussed with Lincoln the problem raised by the action of the Minnesota courts which had sentenced the Indian leaders to death. 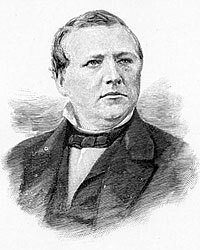 The evidence that he had gathered was used as a basis for the ultimate decision that local accounts of damages and atrocities were somewhat exaggerated; federal compensation was subsequently awarded in only about half of the cases presented to the Department,” wrote biographers Elmo R. Richardson and Alan W. Farley.sup>1 Usher also pushed colonization schemes in Central America for former black slaves—with a mixture of economic self-interest and conviction. Old Tom Ewing of Ohio was hanging around the door of the Executive Mansion as I went in. I stopped for a moment to exchange civilities. Usher, who followed me, informed the President that the old man was waiting for an interview and thought of leaving, but U. advised him to remain now that he had got there. The President expressed his regret at Usher’s advice and, turning to me, said, ‘You know his object?’ I said it was probably Wilkes’ case. The President said it was, and, notwithstanding Wilkes had abused both him and me, he was inclined to remit his sentence,—looking inquiringly at me as he spoke. I told him that I should not advise it; that at the proper time and in the proper way something might be done, perhaps, without injury though Wilkes had no claim, and this hiring old Mr. Ewing, who is selling his personal influence, is all bad. Usher took strong and emphatic ground against any favor to Wilkes, who is heartless and insubordinate. Usher’s political prospects were undermined by the machinations of Republicans inside and outside of Indiana. When Indianan Hugh McCulloch emerged as the President’s choice to succeed William P. Fessenden as Secretary of the Treasury, Usher lost his political power base. 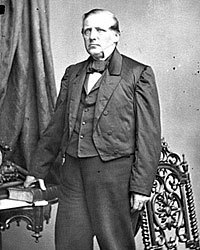 His position was further undermined by pressure to appoint a Methodist to the Cabinet—Usher having alienated some Methodists with his handling of Kansas land claim Usher resigned on March 9 and Senator James Harlan, a Methodist, was named to succeed him the same day but the effective date of the transition was postponed until May 15. At the same time, Usher’s economic star rose. Usher returned to law and began work with the Union Pacific Railroad, whose interests he had previously promoted as a stockholder and cabinet member with powers over the railroad’s right-of-way. An attorney who developed a special interest in transportation issues, Usher had served on the Eighth Circuit with Abraham Lincoln before the war. He had also been one-term state legislator. 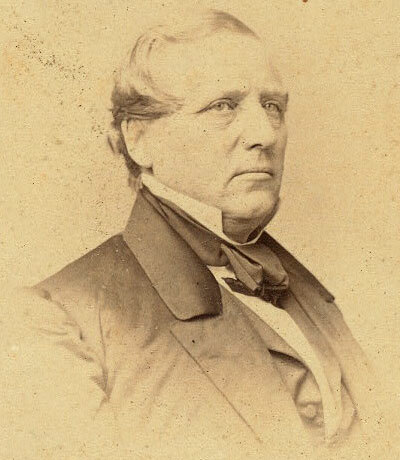 Usher briefly had served attorney general of Indiana from November 1861 to March 1862. Elmo R. Richardson and Alan W. Farley, John Palmer Usher: Lincoln’s Secretary of the Interior, p. 20. Michael Burlingame editor, Lincoln Observed: Civil War Dispatches of Noah Brooks, p. 48. Richardson and Farley, John Palmer Usher: Lincoln’s Secretary of the Interior, p. 65. Richardson and Farley,John Palmer Usher: Lincoln’s Secretary of the Interior, p. 66. Richardson and Farley,John Palmer Usher: Lincoln’s Secretary of the Interior, p. 70. Richardson and Farley, John Palmer Usher: Lincoln’s Secretary of the Interior,p. 71. Diary of Gideon Welles, Volume II, p. 203. Richardson and Farley, John Palmer Usher: Lincoln’s Secretary of the Interior,p. 77. Diary of Gideon Welles, Volume II, pp. 194-195. Usher P. Linder,Reminiscences of the Early Bench and Bar, p. 291.